Carlos Rodríguez Cárdenas graduated from the Provincial School of Art in Santa Clara (1978); the National School of Art in Havana (1982); and the Superior Institute of Art in Havana (1986). He continued his training at the René Portocarrero Serigraphy Workshop. 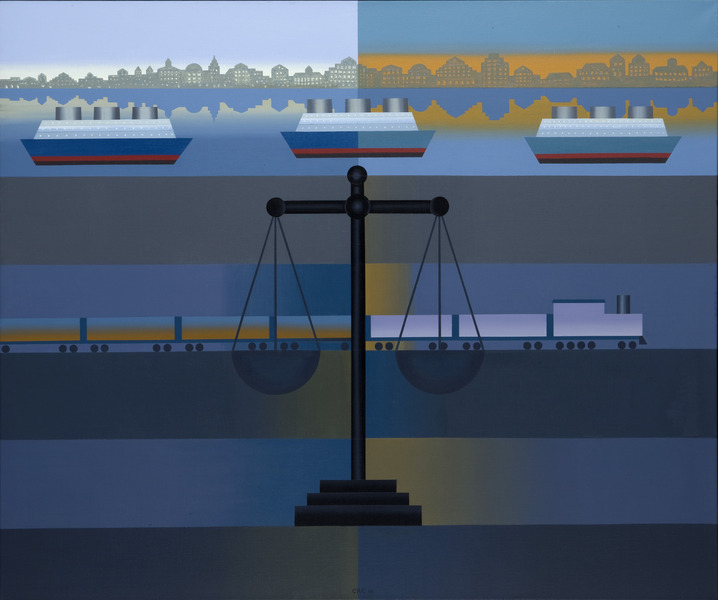 His solo shows include Paintings (1994) and About the Blue Wall (1993) at Fredric Snitzer Gallery in Coral Cables, Florida; Carlos Cardenas at Ramis Barquet Gallery in Monterrey, Mexico (1991); and Recent Works at Nina Menocal Gallery in Mexico City, Mexico (1990). 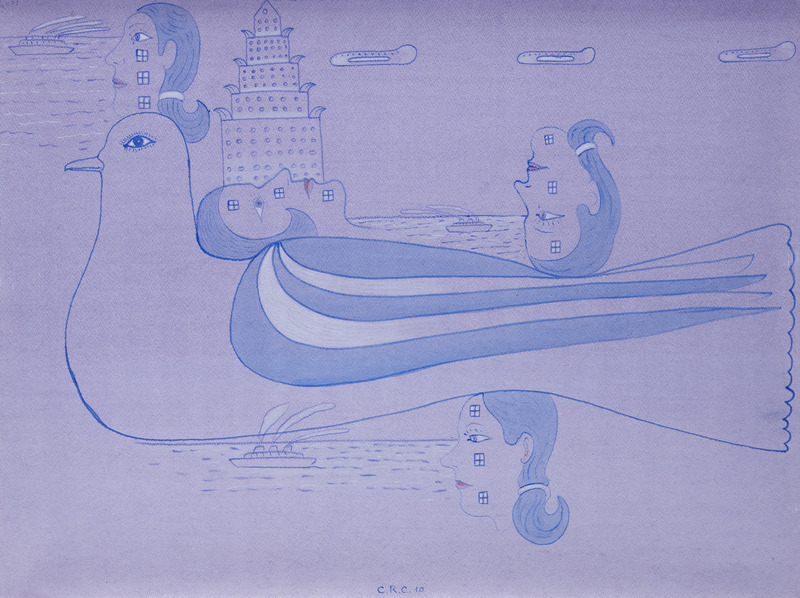 In 1985, Cárdenas was awarded First Prize at the Joan Miró International Drawing Contest in Barcelona, Spain. His works are part of the collections of the National Museum of Fine Arts in Havana; the Whitney Museum of American Art in New York; the Santa Clara Provincial Museum in Santa Clara, Cuba; the Fort Lauderdale Art Museum in Fort Lauderdale, Florida; and the Peter Ludwig Museum in Cologne, Germany. Golondrina (Swallow), 2006. Acrylic on canvas, 24 x 20 in. Viaje a Alaska (Trip to Alaska), 1999-2008. Acrylic and pencil on canvas, 20 x 28 in. Untitled, 2010. Acrylic and colored pencil on paper, 21 x 28 3/4 in. The Big Game, 2013. Watercolor, pencil, colored pencil, gouache and cut-and-pasted printed paper on paper, three panels of 30 x 22 1/2 in. each. 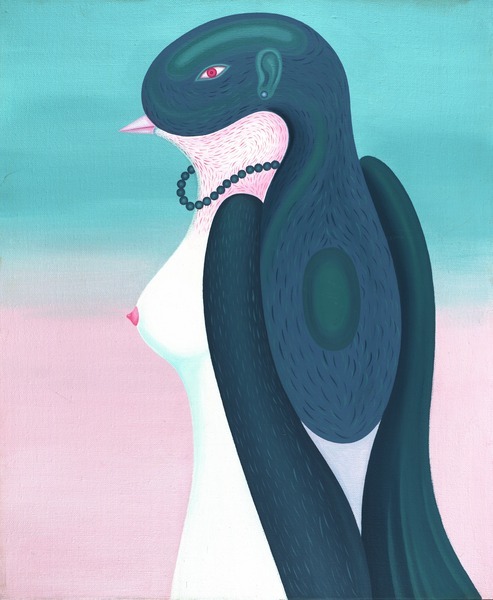 Mujer (Woman), 2009. Acrylic on canvas, 24 x 20 in. Pez plateado se come el pez chiquito (Silver Fish eats Small Fish), 1987. Ink on paper, 24 x 24 in. Esperando el Titantic (Waiting for the Titanic), 2008. Acrylic on canvas, 16 x 20 in. Sicily, 2009. Acrylic on linen, 23 x 27 3/4 in. The Battle, 1994. 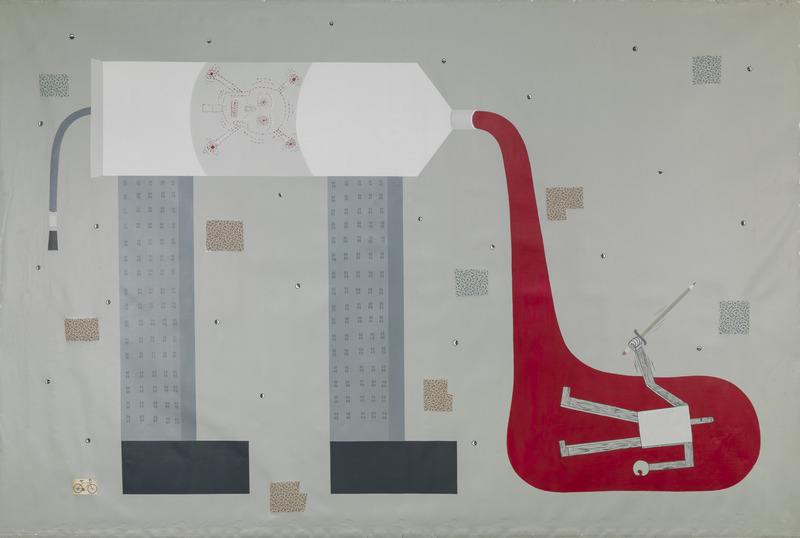 Acrylic and collage of fabrics on linen, 68 1/2 x 103 1/4 in. Balanza (Scale), 2010. Acrylic on canvas, 48 x 57 in. Coppelia, 1992. Oil on canvas, 31 x 34 1/2 in. Untitled, 1994. Acrylic on canvas, 36 x 28 in. Proteger y cuidar la fauna (Protect and Care for the Wildlife), 1984. Ink, pencil and cut-and-pasted printed paper on paper, 20 x 16 3/4 in. Untitled, 1990. Acrylic on linen, 19 5/8 x 15 1/2 in. Untitled, 2001. Watercolor, colored pencil, pencil, tempera and fabric on paper, 22 x 30 in. La raíz de toda la existencia (The Root of All Existence), n.d. Watercolor, pencil and colored pencil on paper, 30 x 22 1/4 in. Limpiamos zapatos (We Clean Shoes), 1987. 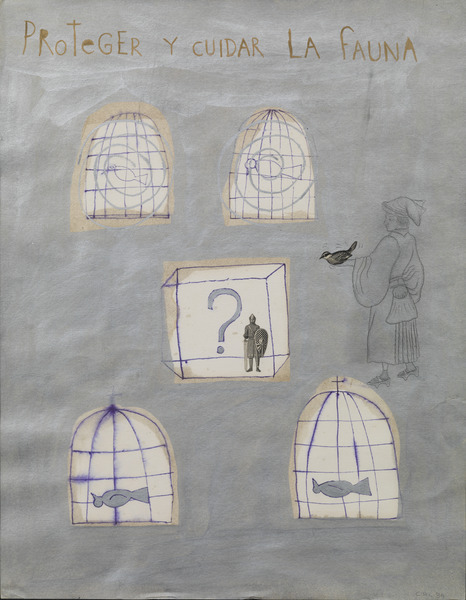 Pencil, acrylic and collage of paper on paper, 27 3/4 x 19 3/4 in.